Jenkinson’s Property Management Team provides a highly specialized and efficient residential letting and management service to Landlords and Tenants in LIVERPOOL and the wider Merseyside area. Our central values are driven by offering quality at a reasonable cost. 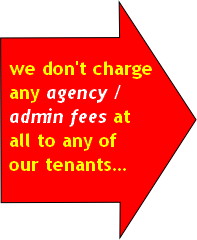 Landlords should be aware that we don’t charge any agency / admin fees to any of our tenants, leading to quick lets and tenants not dropping out after finding expensive agency / admin fees. Often the high-priced fees result in landlords’ property being on the market for long periods of time. Please rest assured that all appropriate checks will still be accomplished. It just comes out of the business funds not the tenants / landlords. For all services we do put the Deposit into a protection scheme. Not just the fully managed. Whilst embracing the principles of quality customer care, our aim is to provide incomparable expertise in our market place, backed by a team of fully dedicated experts and extensive property marketing. Having invested in high-quality training, marketing and property management software; we are very well positioned to provide the most efficient service possible. In an effort to maximise property exposure, our website is updated on a daily basis and our properties are placed on market leading property websites such as Rightmove, Findaproperty, Property Index, Zoopla and many more. Once you have made the decision to designate us as your agent, one of our agents will visit the property in order to take some internal and external photographs. We will use the photographs and the information we have collected to create an eye-catching advertisement which we will display whilst marketing your property. We can help you with Gas safety checks, Electrical safety checks, Blinds, Handyman, Decorating services and cleaning services. We even have a Licensed Environment Certificate so we can help you dispose of all of your waste and unwanted goods abandoned by previous tenants. Not like some agents we clearly display our fees, there are no hidden extras, and the Price you see is the Price you pay. Jenkinson’s provide you with complete piece of mind for your property portfolio. With the let only services, the landlords would become purely responsible for any issues that arise following the commencement date of the tenancy. Providing a rental valuation of the property. Local and national marketing, including a professional “To Let Board” where appropriate. Performing an accompanied viewing with potential tenants. Free advice on the presentation and preparation of your property. Considering applications from prospective tenants and (if required) guarantors in order to assess suitability. Preparing and signing as agent on your behalf suitable tenancy agreement in accordance with current law. Once the tenant has completed and passed all of the checks, we will then hand over the paperwork to you. In order to maximise property exposure, our website is updated daily and our properties are listed on market leading websites such as Rightmove, Findaproperty, Property Index, Zoopla and many more. An inventory will be provided detailing the general condition and contents and will be examined at the termination prior to any deposits being repaid to the tenant. Collecting ongoing rental payments and forwarding them by bank transfer to you chosen account and forwarding monthly statements (deposits retained by the (Deposit Protection Service). Examining the property at agreed intervals to make sure that the tenant/s are fulfilling their obligations under the terms of their tenancy agreement as well as providing a written report of the property. Action against the tenant in the event of the rental arrears or any other breach of the condition within the tenancy agreement. Organising repair or upkeep, instructing a tradesman to attend the property, obtaining estimates where needed, supervising works and settling accounts. This will be subject to the agreed cost limit, however in case of emergency the right is reserved to proceed without prior authorisation. Arrangement of service contracts if requested by the landlord.Carrying out a complete property inspection and inventory check at the end of each tenancy and managing matters relating to unfair wear and tear before releasing the tenant’s deposit. Re-letting the property unless otherwise instructed by landlord. We have an increasing tenancy waiting list which is growing stronger day by day.